Math Trainer by Solirify is the latest Android game that gives players a way to train their brain's mental math skills. Math is just like anything else, if you don't use it, then you start to lose it. However, the developers over at Solirify have created a fun way to get those important skills back, sharp, and ready for action. 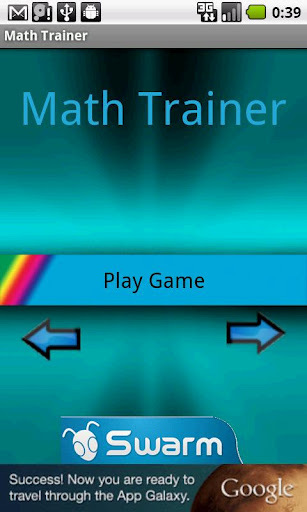 Math Trainer offers a core set of math functions that include addition, subtraction, multiplication, and division. There are also two different game modes, one in which you attempt to answer as many questions as you can in 60 seconds and another which is a never-ending mode which continues until you've incorrectly answered three questions. 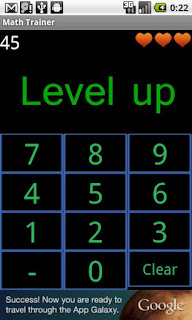 To make things interesting, Math Trainer also bundles a variety of difficulty levels as well as global leaderboards (powered by Swarm) that enable players to compete with anyone on the planet. 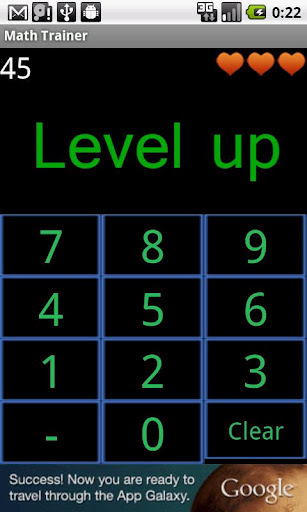 Overall, Math Trainer is a solid Android game for players of all ages that are looking to practice their math skills. Check out the screenshots below, and then head on over to Google Play and start building your skills today!